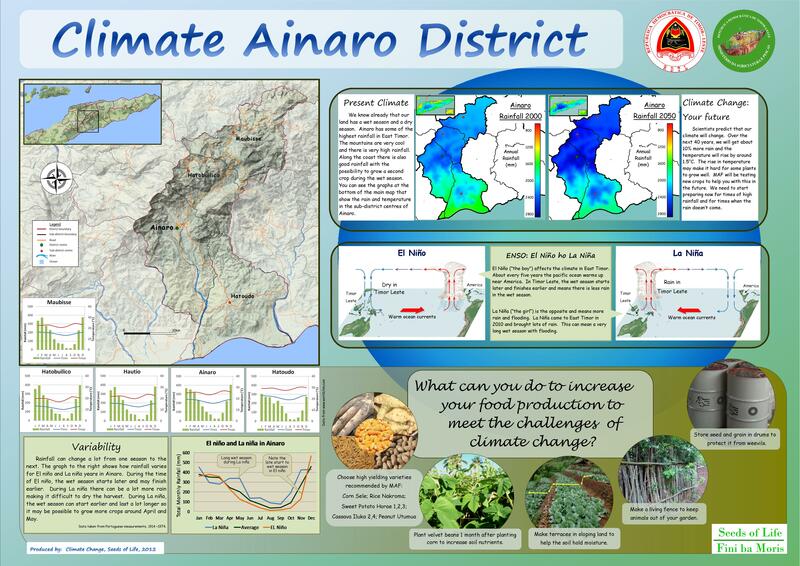 Below you can find links to the District Climate Posters produced by Seeds of Life Climate Change Team in 2012. 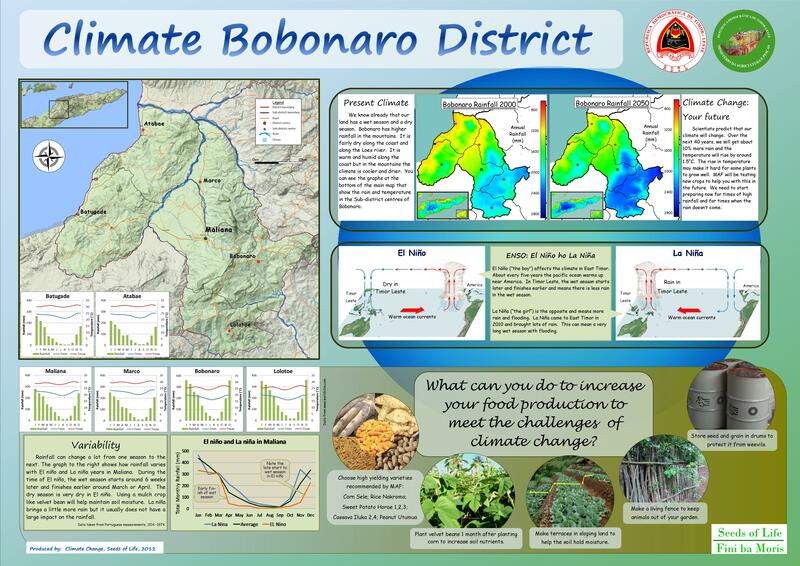 These posters include a information on climate change, present climate, El Nino Southern Oscillation, a district map and recommended adaptations for farmers. 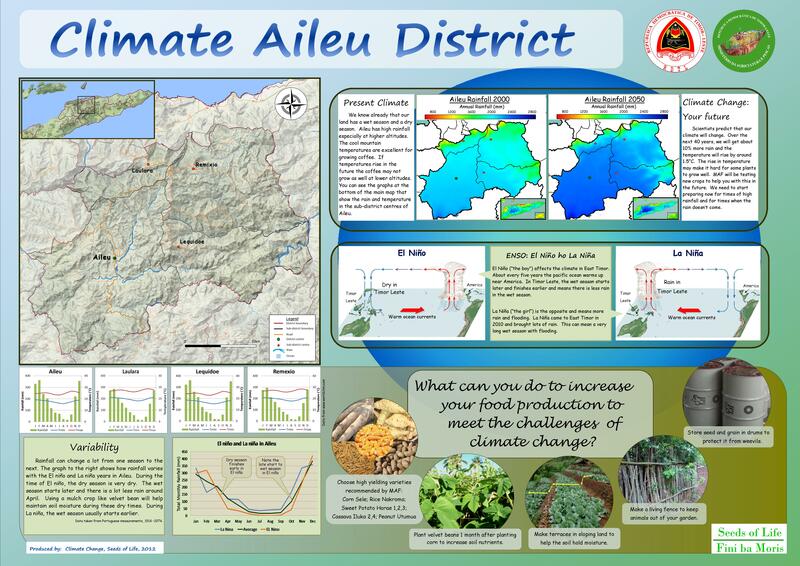 Each district poster is available in Tetun and English. 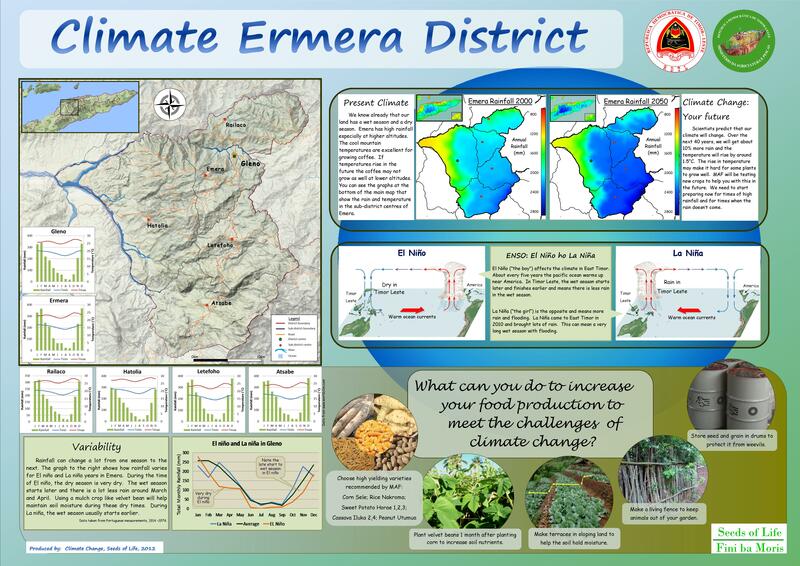 Originally they were printed at A1 size but can still be read at A3. 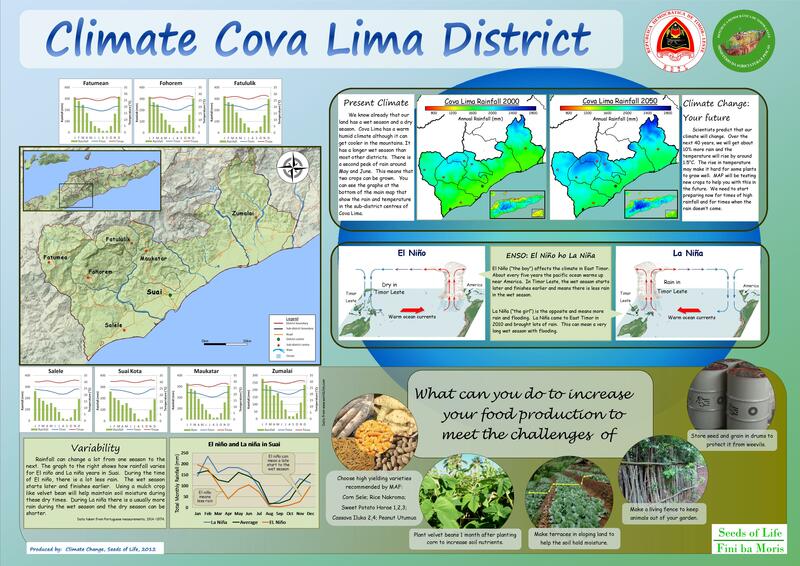 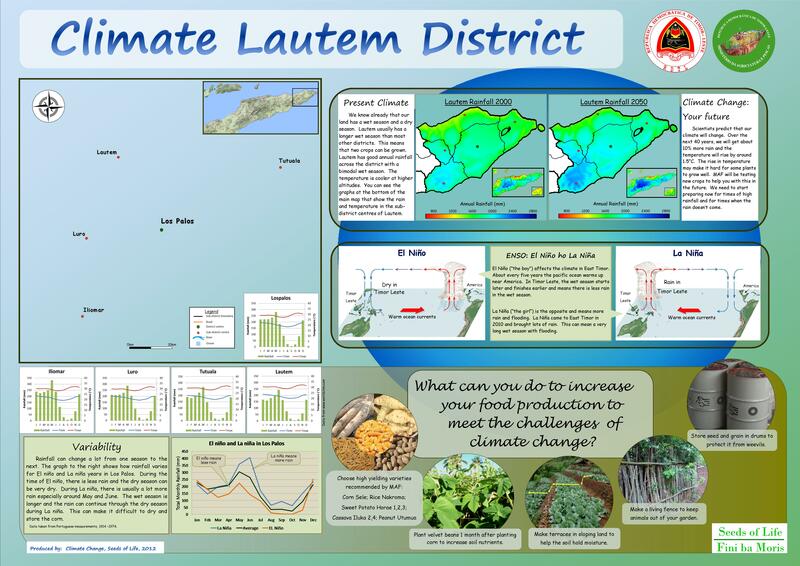 Its a great resource for climate education and you are welcome to copy, print and distribute it around Timor Leste. 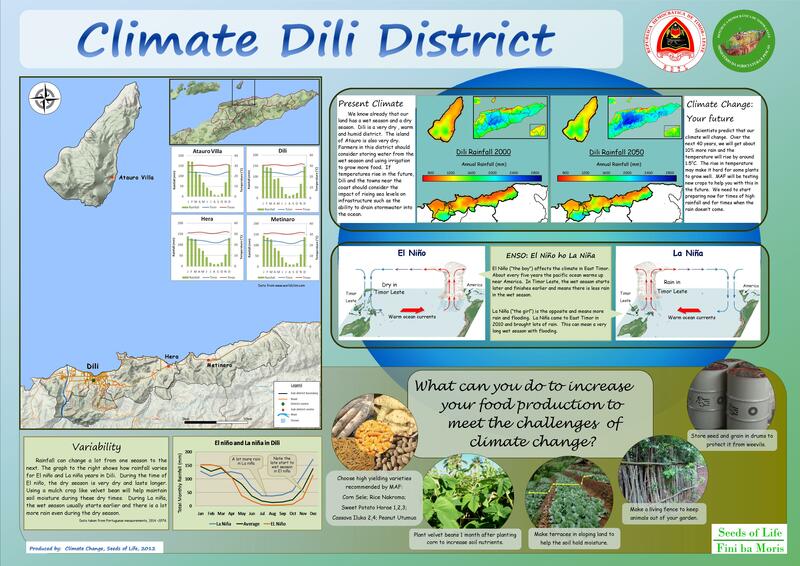 Limited supplies of A1 posters are available by visiting our office in the MAF compound near the Comoro bridge, Dili. 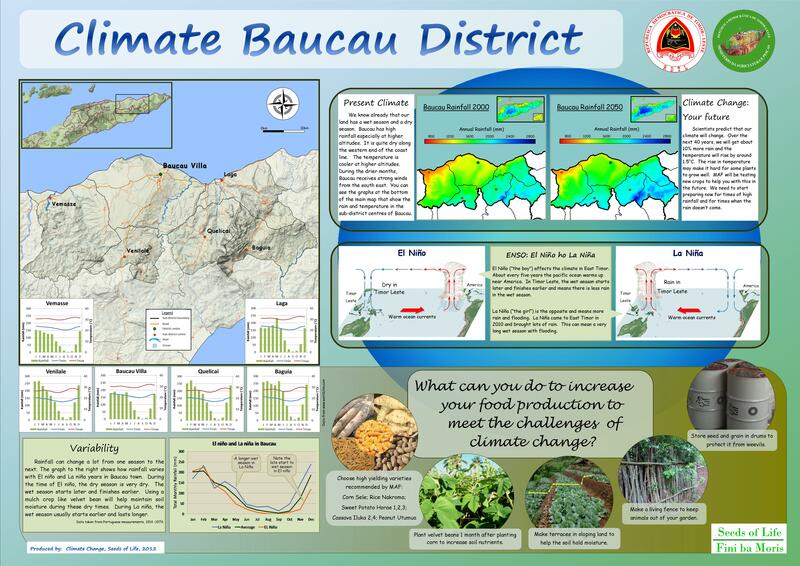 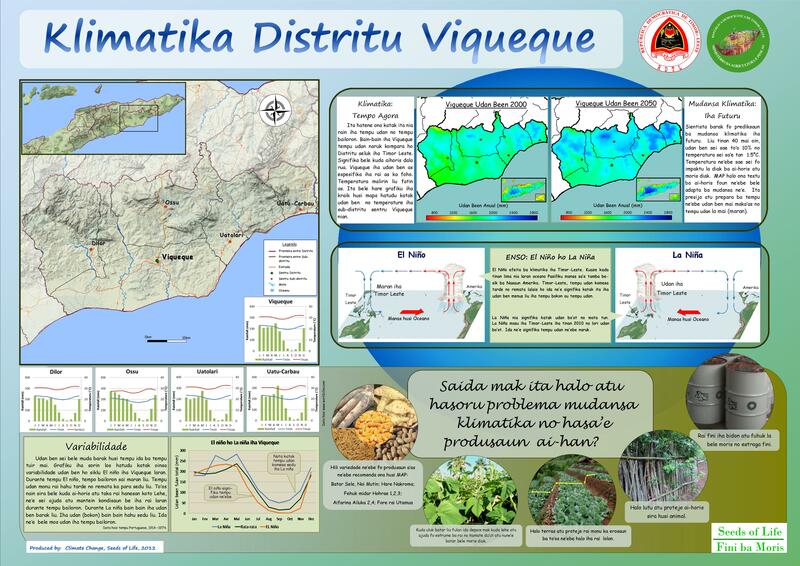 Example of the “Climate Baucau District” poster in English.